From the runway to the street style queens, quirky clutches have been fully taking over the trend charts. The iconic Chanel perfume bottle bag has fast become a favourite amongst fashionistas, and we've got our hands on some amazing designer inspired styles - meaning you can nail the trend at a fraction of the price. 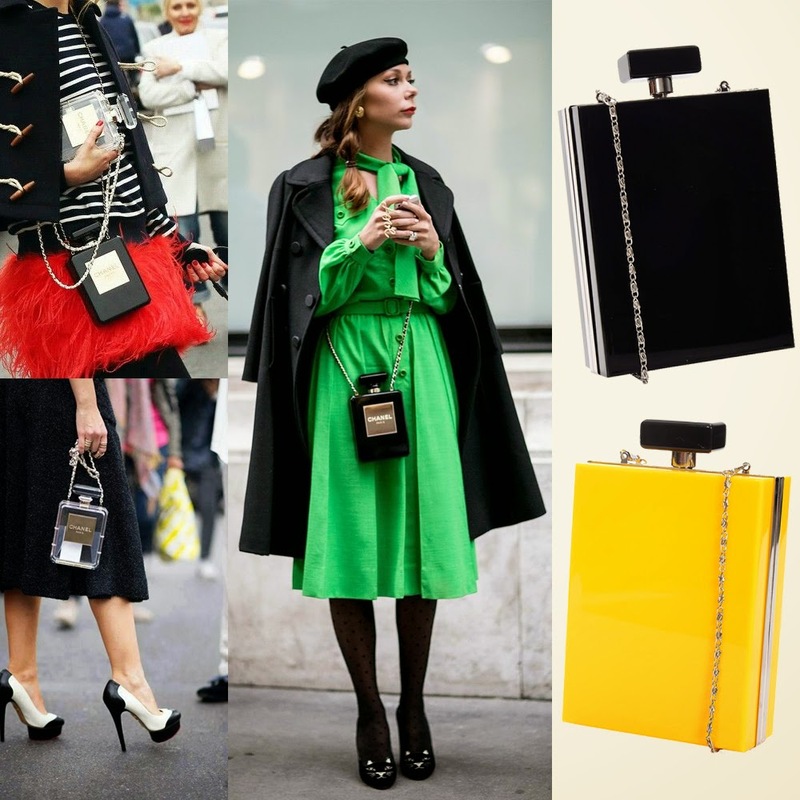 The classic black perspex box bag will match any outfit, but if you're feeling a little bold go for the 1960s inspired yellow clutch to inject a pop of colour. They're just £24 too, what's not to love?! Once again, the Grammys have been and gone! We adore award season and love to look at red carpet style to inspire our party looks. This year, beading was big news, and we saw some amazingly intricate and detailed designs grace the runway. Jessie J, Katy Perry, Gwen Stefani and Kim Kardashian West all rocked embellished designs in their own unique ways. If you don't want to go all out, you can go for a beaded playsuit like Gwen, who gave a subtle nod to the trend and played it down with plain trousers. Our black sequin flapper dress brings all the drama, with its longer length and all over embellishment. We really love the weighty all over sequins which give it that A-list feel, at a sale price! For a lighter take, this beaded silver flapper dress is perfect for tanned skin in the summer time. The back detail is just divine, and the curved beading emphasises and flatters the figure. If you really want to stand out, go for a vintage original. This show stopping 1920s flapper dress is sheer (for the Jessie J look! ), and you could put a cool bandeau leotard underneath to add a modern edge. Who was your favourite at this year's Grammy Awards? !